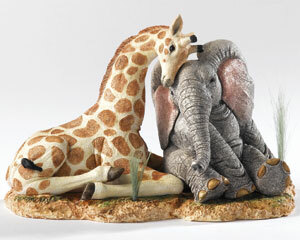 The Tuskers range is produced by Country Artists who are world renowned for their detailed animal sculptures. The Tuskers range itself is sculpted by artist and sculptorBarry Price. of situations, started in 1995. The collection celebrated its 10th Anniversary in 2005 and has a loyal following of collectors. (both delivered twice per year). Members also receive an enamel pin.